Walter Asmus in conversation with Nick Johnson for the second Staging Beckett public talk at the Beckett Summer School. 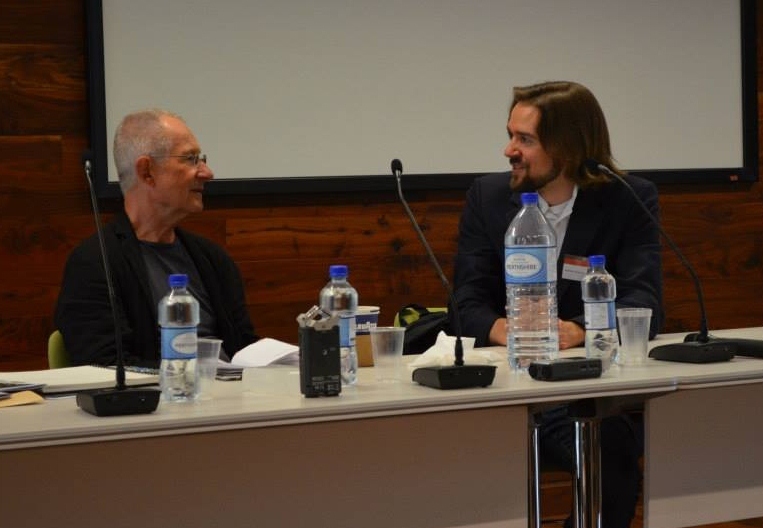 On Thursday 14th August 2014 we were delighted to have Walter Asmus in conversation with Dr Nick Johnson for our second Staging Beckett public talk as part of this year’s Samuel Beckett Summer School at Trinity College Dublin. 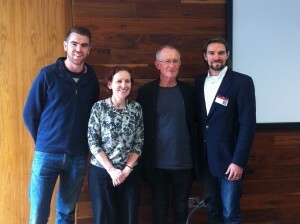 Staging Beckett team members, Matthew McFrederick and Professor Anna McMullan, alongside Walter Asmus and Dr Nick Johnson at the TCD Beckett Summer School. Indeed this recent production, as well as Walter’s experiences working alongside Beckett and his approach to Beckett’s drama as a director led to an insightful discussion in Trinity’s Long Room Hub. Walter’s conversation with Nick followed an earlier screening of his recent film of What Where, which also showed a documentary of how the film was made at the University of Western Sydney. In the coming months Walter’s interview at the TCD Samuel Beckett Summer School will be posted on our soon to be launched AHRC Staging Beckett website. Our second Staging Beckett conference at the University of Chester will host our next public talk with the actress Tricia Kelly. Tricia will talk about her career in the theatre, including her performance as Mouth in Not I at the West Yorkshire Playhouse.